Beautiful South Facing Building Lots with great Sun Exposure!! 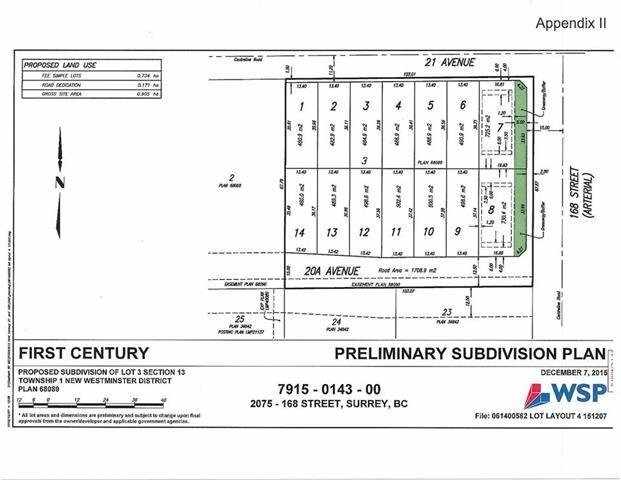 Building lot available, level, deep services permit three level homes with potential view to the south. Close great schools Southridge Secondary and Earl Marriott Secondary as well as Sunnyside Elementary School. Minutes away from the USA/Canada Border!!! These RF lots should be ready to build late summer of 2018.